The Skin Games is a national competition where Estheticians compete for the title of “Best Skin Care Profesional” or for those new to the industry “Best New Artist”. I was excited to participate in the skin games, this year. It is great for Estheticians, like myself to have this platform to showcase our talents. It has also been a learning experience, to see the methods used by other professionals. 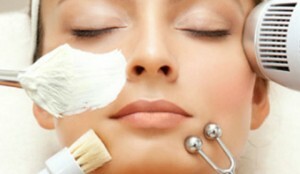 After seeing all the treatment videos, I look forward to meeting the other Estheticians at the live show, this April. To up the cool factor, this years show will be hosted by Bobby Brown and Athena from “Ex-Wives of Rock”. Sharise Neil and Blue Dixon from “Ex-Wives of Rock” will also be at the red carpet event, that will be after the award show. You do not have to be a player or even an Esthetician to attend the live show, during the day there will also be an all day event with vendors, live demonstrations and beauty swag. What a great excuse for a girls trip, …. industry guys trip too. As a finalist in this years games, I hope to see some of my Esty friends at the live show. Estheticians may enter in the categories of Hyperpigmentation, Anti aging, Acne / Problematic Skin or Best New Esthetician. The catch is you have to abide by the laws governing the state of California. Regulations differ by state, and in many of the states outside of California, Estheticians do laser and energy based treatments if they have an additional certification or if they are a Master Esthetician. The good news is, for those of us who work in Medical Esthetics, there is an “OPEN” category where Estheticians can follow the scope of practice governed by your state rules and regulations. Medical Esthetics is such a huge part of our industry, with Estheticians working in med-spas or for dermatologists, plastic and reconstructive surgeons, even gynecologists. I have no doubt that expanding The Skin Games to include Etheticians in the med-spa industry will attract a lot of Estheticians to compete and draw a lot of exciting vendors to the live show. Each player selects a model,puts together a treatment plan, then submits 8 short videos, one per week to document treatments. Players also submit before and after photos of model to show results. A panel of judges will determine the winner based on photos, treatment plan and results. Friends,family and clients can also vote for their favorite player, the “Peoples Choice” award. The live show is in San Ramon, California on April 23rd. Players will be awarded during the live show. Before the show, Estheticians can enjoy the beauty festivities with treatment demonstrations and check out the vender booths from various skin care lines. This is also a good opportunity to socialize and network with other professionals in the industry. If you are at this years show, please stop and say hi to Kristy Harris. This entry was posted on Wednesday, March 16th, 2016 at 11:08 pm	and is filed under Professionals: Aesthetics & Beauty. You can follow any responses to this entry through the RSS 2.0 feed. You can leave a response, or trackback from your own site.